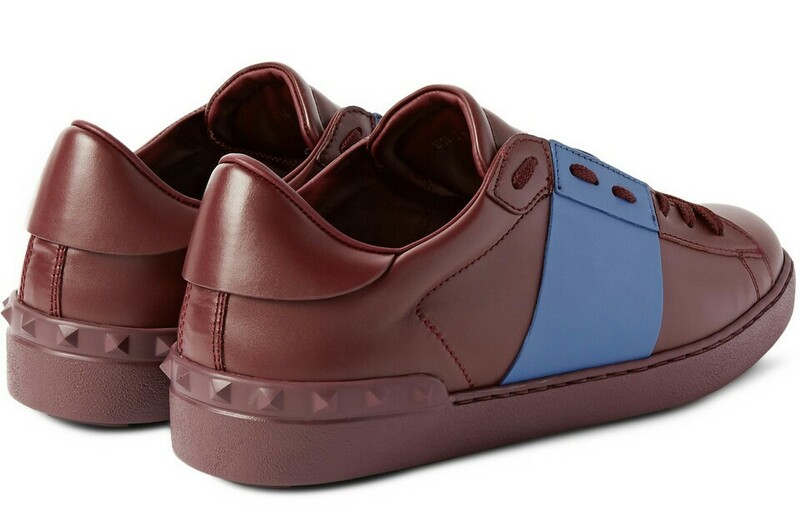 Shake up your footwear collection with Valentino‘s two-tone sneakers. A contemporary take on classic tennis shoes, they have been crafted in Italy from burgundy leather and are designed with light-blue panels for a cool contrast. They are detailed with the label’s signature studding, fully lined and have light padding to ensure the most comfortable stride ($795).